Get creative with the iSplash app! 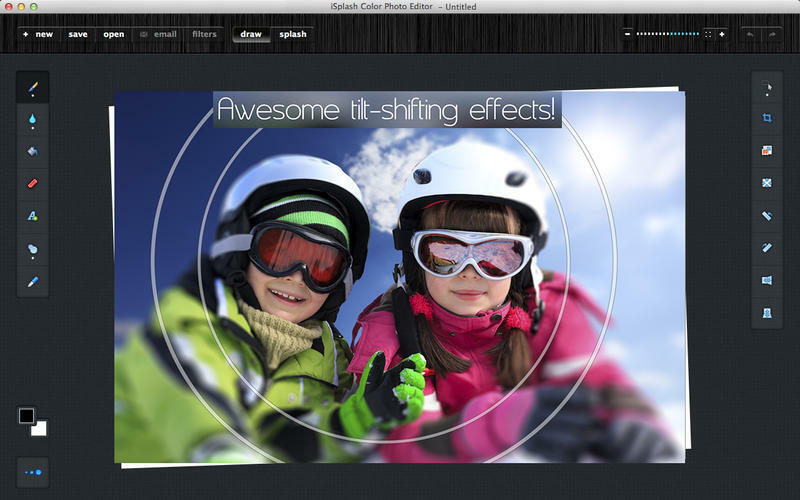 Choose any image and iSplash will turn it to grayscale. Then, choose any part of the image to restore the original color. Beautifully modify your pictures and create bold images that pack a punch! **FEATURED IN MACWORLD MAGAZINE – USA & UK** – "It doesn’t get any simpler than iSplash, an incredibly intuitive application for restoring color selectively." iSplash supports PNG, JPEG, GIF, TIFF and BMP files. + MAC MAVERICK OSX SUPPORT!